In September 2015, the photo of a three-year-old boy washed up on a beach awakened the world to plight of Syrian refugees that has been building for the last five years. With no end in sight, there are more than four million registered Syrian refugees—over half of these refugees are children and most of them remain in the Middle East. The Presbyterian Church in Canada continues to respond to the crisis by sending relief, equipping Christian partners in the Middle East, supporting congregations sponsoring refugees to come to Canada, and advocating for government action. In September 2015, the Moderator of the church, as instructed by the 141st General Assembly in June, sent a letter to the Prime Minister urging the government to increase the number of refugees coming to Canada by both opening up spaces for privately sponsored refugees and increasing the number of refugees sponsored by the government. Presbyterian World Service & Development (PWS&D) continues to provide food, shelter, clothing and psychosocial, medical and educational support to refugees and internally displaced people in Syria, Lebanon and Jordan through the ACT Alliance and Canadian Foodgrains Bank (CFGB). Last year, PWS&D—through Canadian Foodgrains Bank—provided $525,000 towards food vouchers for refugees in Lebanon and $225,000 in food aid for families displaced within Syria. Through the ACT Alliance, almost $25,000 supported Syrian refugees in Jordan. 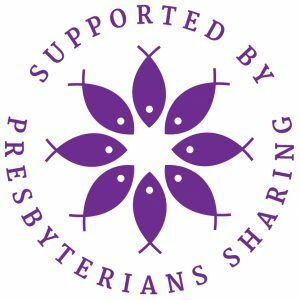 The Presbyterian Church in Canada sponsorship agreement with Citizenship and Immigration Canada enables Presbyterian congregations to welcome refugees to Canada. Sponsorship applications are currently being processed and PWS&D will work with interested congregations willing to start. Learn more about Refugee Sponsorship. On September 12, 2015, the Government of Canada announced the establishment of the Syria Emergency Relief Fund. For all eligible donations made until February 29, 2016 (extended from the original date of December 31), the Government of Canada contributed a matching amount towards Canada’s “Syria Emergency Relief Fund.” In total, Canadians donated $31.8 million and the Government of Canada ultimately committed $100 million towards those affected by the Syria crisis. Pray for Syrian and other refugees and the people working to support them. Pray that they may find safe haven and that peace may come to their homelands so that they may one day return home in peace. Advocate. As recommended by the 141st General Assembly, join the Moderator by writing your MP and all candidates in your riding, the Prime Minister and Minister of Immigration. See the Moderator’s Letter for ideas – try to put the points in your own words. Learn about the roots of the refugee crisis in the Middle East and elsewhere, who the refugees are and why they have to flee. The deepest longing of most refugees is to return to a peaceful country and to their homes.